Announcing the Mega Font Sameeh Media bundle of Fonts. These fonts are perfect for logos, blog, posters, apparel, wedding invitations, beer labels and many others. Normally $370, That’s 93% OFF! 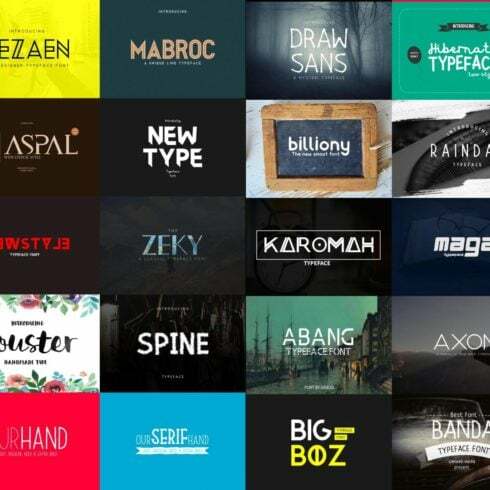 Now get all 30 Fonts with a super low price for $25 only + Extended License. What Are Fonts? Why Are They Crucial? Font can be defined as a graphic representation of written text. It might also be defined as a design for a collection of letters and characters. With various shapes, point sizes, weight, and color, fonts routinely set the style of design. Single font is often billed within the range of $7 to $100 with respect to the vendor and marketplace. What Are The Bundles and What Is The Cost? A font pack is basically a range of various web fonts available at more affordable cost. One of the benefits of purchasing kits is that they cost just a little bit higher than one single font does, as long as they are on discount. 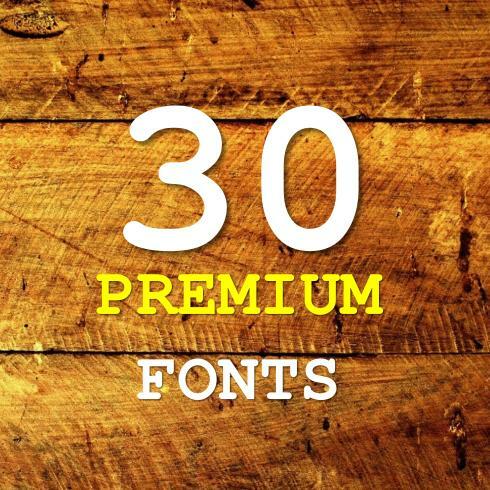 The regular cost of a font bundle on our website is just two to twenty dollars. However, hurry up: the life period of each bundle lasts only five days. There exist 5 major types of fonts. Serif fonts tend to be more classic, you can tell them via tiny lines placed on characters. Sans-Serif fonts are a more recent type, and letters don’t have tiny lines on their ends. Slab-serif fonts look massive and blocky, they contribute substance to the design and style. Scripts look like handwriting while having connected letters. Stencils are known to have round edges and thin strokes, one can rely on them to produce a creative headline. How Do Fonts Sway The Perception of the Product or Service? The standard of typography can determine the way customers see and grasp written content. Fonts help to capture attention and establish structure. They establish the atmosphere and develop brand identification. Entrepreneurs know that fonts can make or break virtually any visual advert, logo, or brand graphics. As soon as you uses sloppy or commonly used fonts, visitors consider the design and style as cheap and don’t respond. Whenever the typography is unreadable, the entire creative endeavor fails to reach its objectives. I Haven’t Discovered Any Desirable Fonts within This Specific Bundle. What to Do? In case you haven’t spotted the suitable font within this package, do not give up hope! 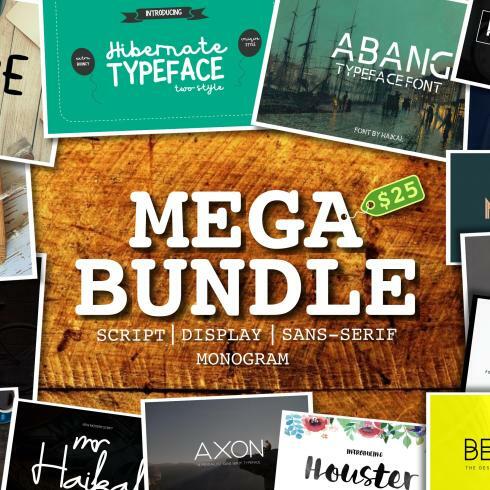 You can find hundreds of product bundles produced by the greatest graphic designers on our site. Take time to leaf through all those bundles and you can expect to discover the right package! It’s extremely satisfying to finally track down the deal that meets your artistic and professional needs. What Other Bundles Do You Offer on MasterBundles? Apart from font bundles, MasterBundles.com features many unique packages. Find out more about web theme deals, graphic bundles, icons, textures, and patterns. There are as well electronic books and courses, stock photography, logo designs, illustrations and add-ons, mockups, and other categories. You’ll find thematic Xmas and Valentine’s packages, post cards and presentations. And also, of course, our most popular under $5 design bundles! Master Bundles is the perfect marketplace for buying web design solutions that will surely simplify the way you work. To make our web solutions and sets affordable for all regardless of their funds, we frequently offer massive discounts and handle monthly sales. However, you have to be attentive, as the discounts on most packages last for less than five days. If you don’t want to miss the sales, just register for Master Bundles newsletter and stay tuned to the latest arrivals and accessible discount codes. To discover the currently available discount coupons, go to this page.